Cosmic energy healing is one of the most powerful methods of spiritual healing that deals with all your emotional issues by using cosmic energy that exists in our cosmos, and hence makes you absolutely blissful and energized. The cosmic energy is referred as the life force and the energy, which predominantly maintains the balance of the entire cosmos. Healing through cosmic energy invokes spiritual consciousness in an individual in the most constructive and positive manner. We are surrounded by cosmic energy everywhere which is nothing but supreme consciousness and intelligence. If properly channelized then you may feel this energy in you, and we do that for you, which removes all the self destructing negativities from you and fills your spirit with absolute positive energy. Mostly we receive this energy while sleeping but that will not be sufficient for maintaining a balanced life and that is why spiritual healing plays a significant role in maintaining a constant positive energy in someone’s life. Cosmic Healing provides energy which is powerful enough to transform one’s negativity into a positively energized consciousness that removes all sorts of impeding obstacles from one’s life. 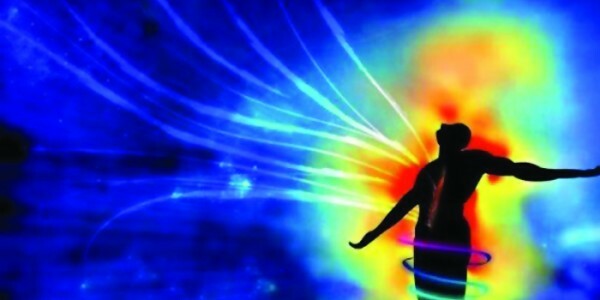 Through healing cosmic energy enters through the mind into an individual. For this, chakra breathing and meditation helps the mind to stay more focused in receiving the positive energy of cosmic healing. Vibrations of positive energy enter into the mind-body system of individual through the chakras and then support the human energy field in the most energizing and fulfilling manner. Mostly chakras are partially closed due to different distractions in life such as fear, anxiety, stress, worry or negative emotions and we at Puja Yagya remove all these distractions and let you stay awaken and absolutely healed. Call us & Get Healed: For any healing help, you may contact us to given numbers, we guarantee best healing solutions through cosmic energy healing that will energize your life with positive energy and remove all types of negative vibrations from your life.